There were five changes to Real Madrid’s starting lineup for the match against Levante. The Bernabeu was treated to seven for the visit of APOEL. There were four for Alaves, and five for Tottenham. Zinedine Zidane has positioned himself as a staunch advocate of squad rotation so far in his fledgling managerial career. Since taking the job in January 2016, the French coach has generally been credited with hauling Real Madrid out from the stodginess of Rafael Benitez’s tenure. It is ironic, therefore, that Benitez is one of the most important proponents of the approach that Zidane has used to deliver an unprecedented four titles in 2016-17: the rotation policy. Benitez made an average of 3.69 changes per game to his Valencia team in 2001-02, as Los Che rotated their way to the La Liga title. According to Benitez, the chop-and-change approach was fundamental to Valencia’s winning the league for the first time in 31 years. “In January  we were eight points behind Real Madrid and we finished six or seven points ahead. Why? Because we were fresh at the end of the season,” Benitez explained in his 2012 book “Champions League Dreams”. Benitez’s rotation policy was treated with suspicion in England after he joined Liverpool in 2004. Sceptics say that it breeds instability and prevents players forming intuitive connections on the pitch. Traditionalists point to Ron Saunders’ Aston Villa side of 1980-81, which won the English First Division with 14 players. Or to Bill Shankly’s Liverpool, which achieved the same feat in 1965-66. But the physical demands placed on modern players, coupled with the number of matches that elite clubs play, render such comparisons irrelevant. Football is not axiomatic and managers cannot rely on received wisdom in an environment that constantly develops around them. Rotation is a form of evolution, and Benitez and Zidane have both embraced that change rather than resisting it. Paco de Miguel — a fitness coach who has worked with Benitez at various clubs — explains the logic of squad rotation in three points. Firstly, rotation prevents players from increasing their risk of injury by playing an excessive number of matches. Secondly, physical performance decreases when players play two or three matches in a week. Thirdly, it creates competition within the squad. The final point is particularly applicable to Real Madrid’s title win in 2016-17. Rotation created an atmosphere whereby every player — with the possible exception of poor Fabio Coentrao — knew that they would play, that they could contribute, and that the glory was partly due to them. Zidane used the full depth of his squad in the spring of 2017, allowing Madrid to compete for both La Liga and the Champions League. Throughout the season, 20 players played 1,000 minutes or more in La Liga, and back-up goalkeeper Kiko Casilla was only 10 minutes away from that figure too. Crucially, Madrid were able to rotate the starting lineup against middling teams without sacrificing momentum. Barcelona slipped up against Alaves, Celta Vigo, Deportivo La Coruna and Malaga, while Real Madrid brushed them aside. Rotation has become normal, particularly for clubs that play up to 60 matches in a season due to European and domestic commitments. It would be misleading to present Benitez and Zidane as its only disciples. Sir Alex Ferguson’s Manchester United won the Premier League and the Champions League in 2007-08 without naming the same lineup in consecutive matches. Pep Guardiola deployed a similar approach with his all-conquering Barcelona side of 2008-09. But Zidane further developed the method. He took Benitez’s template and fed it a diet of steak and steroids. The 45-year-old rotated his squad to the extent that two distinct, but ostensibly equal teams emerged: Real Madrid “A”, and Real Madrid “B”, as the Spanish media dubbed them. It was unprecedented. “It’s harder to beat Real Madrid ‘B’ than Real Madrid ‘A’,” rued Deportivo manager Pepe Mel, after Madrid romped to a 6-2 victory at Riazor, having made nine changes to the team that lost to Barcelona a few days earlier. Zidane has continued to rotate his squad this season, but the football has been disjointed. The defeat to Real Betis and the draw with Levante demonstrate that. Even victories at Alaves and Getafe have been met with the collective diagnosis that “something is not quite clicking”. That is natural. James Rodriguez, Alvaro Morata, and to a lesser extent Danilo, were essential to the viability of Real Madrid “B” last season. They have all left the club, and their replacements are weaker. The arrival of Theo Hernandez provides support in a previously-vulnerable area of the pitch, but the Real Madrid squad does not boast the same depth that it did just six months ago. Cristiano Ronaldo’s suspension, and injuries to Karim Benzema, Gareth Bale, Dani Carvajal, and Marcelo have exacerbated the issue. Ultimately, the success of a rotation policy is dependent on the quality of the squad that it is applied to. “I’m not going to change. … I believe in what I’m doing,” Zidane has stated, and reiterated. Judgement will arrive at the end of the season, and it will probably be extreme. 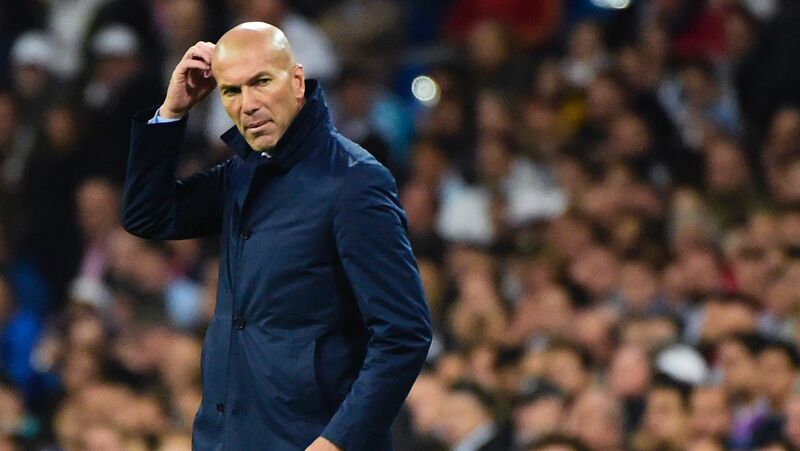 Fans and sections of the media will herald Zidane as a genius and identify rotation as his defining principle if Madrid recover from their current deficit to retain La Liga. On the flip side, rotation will be deemed a catastrophic misjudgement if they fall short. But in truth, Zidane has little choice. Rotation is a necessary product of Real Madrid’s unquenchable thirst for success on all fronts. Reading FC Promotion Xl 2011/12: Where are they now?